This exhibit was for the 90th Kansas Medical Society meeting in May, 1949. Dr. C.F. Menninger and his sons, Dr. Karl and Dr. Will, formed a group psychiatry practice in 1919. The Menninger Clinic as a sanitarium was established in 1925 with the purchase of a farm house and admittance of 12 patients. The philosophy was that mental illness could be treated with an integrated medical, psychodynamic, and developmental approach for the total health of patients. The Menninger Foundation is a non-profit organization devoted to treatment, training and research in mental illness. It was established in Topeka and moved to Houston, Texas in June 2003. Anna Freud lectures at the Menninger School of Psychiatry 20th reunion. Karl Menninger, MD, is joining her in laughter. Menninger is a leading psychiatric hospital dedicated to treating individuals with mood, personality, anxiety and addictive disorders, teaching mental health professionals and advancing mental healthcare through research. Once located in Topeka, Kansas, they relocated in 2003 to Houston, Texas. These papers include correspondence with Professor Seward Hiltner of Princeton Theological School, hand-illustrated poetry written by various individuals, newsletters from the Elgin State Hospital, manuscripts, and course lectures. Boisen spent time in Wabaunsee, Kansas while surveying rural churches, including the Congregational Church. 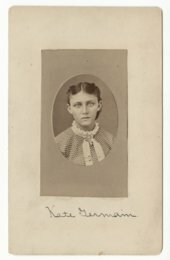 Boisen was secretary of the Wabaunsee Neighborhood Association and wrote about the "Health Conditions in the Wabaunsee Community." Also included are annual reports (1933-1935) to the directors of the Chicago Council for the Clinical Training of Theological Students which include several photographs of students at the Elgin State Hospital, where Boisen was the chaplain from 1932-1954. The Menninger Perspective was awarded the International Association of Business Communicators Golden Quill Award in 1989. The Perspective is a journal published for contributors to and members of Menninger. It educates the public on issues of mental health, treatment, and research. A poster issued by the Kansas State Board of Health, outlining good infant care. This poster, issued by the Kansas State Board of Health, includes information on good baby care. This poster, issued by the Kansas State Board of Health, illustrates how to bathe a baby. A photograph of Dr. Bernard Hall lecturing the Menninger School of Psychiatry residents in the x-ray conference room at the Veterans Administration Hospital in Topeka, Kansas. This is a photograph of a patient learning biofeedback to control hand warmth, which aids in relieving headaches or blood pressure. Elmer Green, PhD, established the Psychophysiology Laboratory, Research Department at the Menninger Clinic in Topeka, Kansas. He directed the Menninger Voluntary Controls Program for research, clinical application, and teaching in biofeedback and psychophysiologic self regulation. A photo of Dr. Will Menninger being filmed from Twentieth Century, Age of Anxiety for CBS. The filming took place in August, 1961. The program was scheduled to air in early 1962. This letter, issued by the Kansas State Board of Health, outlines ways to prevent typhoid fever; although the cause was not yet fully known. A table shows the typhoid fever death rate per 100,000 of population in five cities in the world. Table 2 compares the death rate in Berlin and Chicago. A classroom chart listing communicable diseases. The material was taken from the rules and regulations of the Kansas State Board of Health. Diseases listed include chickenpox, diphtheria, measles, mumps, scarlet fever, and whooping cough. Also listed are the symptoms, mode of spread, and basic control measures. Dr. Carolyn Grame, left, and Dee Zeygardt of the Menninger staff meet with Gerard Buckley of Gallaudet University to plan a conference for mental health professionals who work with hearing-impaired people. Dr. Karl Menninger wrote a paper in 1924 about the mental effects of deafness. CPR instructors work on Resusci-Annie during the classes held for all staff in Cardio-Pulmonary Resuscitation. Demonstrating the technique are Diana Case, Gene Montgomery and Dorothy Barash. Looking on are Carolyn Gibson, Pat Cunningham and Jane Balmer (partially hidden). Dr. Collins, a psychiatrist and psychoanalyst, teaching a group of psychiatric residents at the Menninger Clinic. Menninger is a leading psychiatric hospital dedicated to treating individuals with mood, personality, anxiety and addictive disorders, teaching mental health professionals and advancing mental healthcare through research. Once located in Topeka, Kansas, they relocated in 2003 to Houston, Texas. This life adjustment poster created from the booklet "Understanding Yourself" by William C. Menninger, M.D. helps young adults understand the emotional stresses of everyday living. This letter from Dr. S. J. Crumbine, Secretary of the State Board of Health, informs hotel proprietors that the Board has ruled that the use of the common drinking cup in hotels was prohibited as of April 1, 1911. This photograph shows an exhibit in the Menninger museum, Tower building in Topeka, Kansas. The ball of string was made by a patient. There is also a strait jacket to restrain a violent patient and art done by patients in this photograph. This is part of the exhibits in the "Old Asylum Room" in the Menninger Museum in Topeka, Kansas. The chain was removed in 1962 from a patient in a European hospital. This photograph shows the "Old Asylum Room" in the Menninger Museum. It was on exhibit in the Tower Building in Topeka, Kansas. The Tower building had been the hospital for the previous owner, Security Benefit Life, and was converted into offices and the museum. This photograph shows an exhibit in the Menninger museum featuring a mannequin wearing a strait jacket and seated in a rocking chair. Also shown is the restraint cage as part of the exhibit of the "Old Asylum Room". This poster, issued by the Kansas State Board of Health, informs parents how to safely insure their baby has fresh air for his health. This nurse's cap of heavily starched linen belonged to Helen Marie Turner. Mrs. Turner graduated from the Newman School of Nursing, a partnership program between Newman Hospital and Emporia College, in 1959. She purchased this cap as a freshman student. During her 45-year career, Mrs. Turner worked at a number of institutions, including Newman Hospital in Emporia, Jefferson County Memorial in Fairbury, Nebraska, Presbyterian Hospital in Albuquerque, New Mexico, and a cancer center in California.